The Ultimate Guide For A Luxury Experience At Maison et Objet 2019 ⇒ Maison et Objet 2019 is one of the top design events of the upcoming year and a must-see for every design lover. In order to help you get the full luxury experience while in Paris for the fair, CovetED brings you the ultimate guide for a luxury experience while at Maison et Objet 2019, covering the fair itself, the Designer of the Year, the top exhibitors and even a Paris city guide, with the best luxury hotels, restaurants and so much more. Enjoy! The opening hours from Friday to Monday are 09:30 am to 07:00 pm. On Tuesday, the opening hours are from 09:30 am to 06:00 pm. On the image below you can see a show map that showcases the several areas of this fair that in 2019 will offer a clearer and more organized perspective of three main areas: MAISON and its wide range of interior decoration, organized into different worlds; OBJET, the show’s concept store, ideal for retailers; and finally INFLUENCES and is a unique itinerary. Famous luxury brand Boca do Lobo is returning to Paris at Maison Et Objet 2019 to broadcast a new expression of the most elegant and powerful home design. Surrounded by haute craftsmanship and art, Boca do Lobo will present a strong showing with some stunning new pieces. Expect waves of contemporary and high-end furniture form this top Portuguese brand that always tries to elevate design and craftsmanship! Visit them at Hall 8 – Stand C-C3. At this year’s Hall 6 you’ll find Brabbu. This is a design brand that reflects an intense way of living, bringing fierceness, strength and power into an urban lifestyle. With a diverse range of furniture, case goods, upholstery, lighting and rugs, and through sensory design, we pass on a unique experience in every piece we design and produce. Every day our tribe of designers and craftsmen search for the highest – quality materials and innovative techniques to bring the comfort, functionality and personality your spaces deserve. Also at Hall 6, you’ll find Essential Home, a brand that is the epitome of bohemian retro design. Its mid-century modern lines merge important historical references from the 1930s and 1960s and with contemporary influences. The harmony of masculine and feminine, classic and contemporary, is the essence of the Maverick brand with its refinement and emblematic style. The brand deals with different, intimate and cosy ambiences that express the elegance and the luxury that is conveyed by the use of rich material now in a home environment. 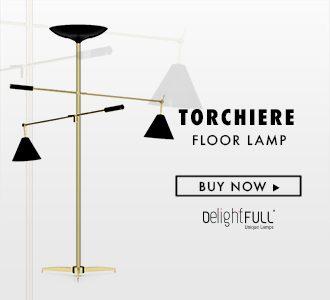 Essential Home’s sister brand, DelightFULL, will also be at Hall 6. Focused on Lighting Pieces, DelightFULL’s designs reflect a personality, a frame of mind and strong emotions are present in each detail. Inspired by jazz music, DelightFULL’s mission is to conquer the world through unique lamps! Made by local artisans that practices the elementals of craftsmanship, this brand’s products are long-lasting masterpieces and you’ll be able to see them up close at Hall 6. You’ll find Circu at Hall 8. Circu was built under a dream! The dream is to allow children to dream their own dreams and to really give them space to be and live their fantasies in a magical world. It’s stunning hand-crafted and hand-tailored pieces are made in Portugal with the finest materials, combined with a lot of passion, so we can deliver only the highest quality furnishings. If you want to dive into some magical inspiration, then you must visit this stand! At Hall 8 you’ll find the mega stand of Covet House. At this brand’s stand you’ll be able to find pieces for all tastes and from all the major design brands in the world, namely, Boca do Lobo, Delightfull, Brabbu, Maison Valentina, Circu, Luxxu, Essential Home, Rug’Society, Pullcast, Monsyeur and Foogo. Don’t miss this chance. What’s Misson mission and style? An abstract, floral crossover, symbols of old traditions and new spaces, alongside tangibly incisive texture alternating with virtual ethereality. By using Missoni’s products, all of the décor potentials is heightened by different solutions on the same pattern. Themes and elements transmute from furnishings to linens, and again from indoors to outdoors. Missoni also pays attention to colours with cool intensity: spark explosions, animated shades and morphing faded tones. Check them at Hall 8, Stand A-A4. Destined to please industry professionals and the general public alike, the 10th edition of the cultural event, Paris Déco Off will take place from 17-21 January 2019. The City of Light, Fashion and design is known for being the ultimate source ultimate of inspiration for every designer and creative mind, especially during this season, where Paris hosts a series of esteemed design, fashion and lifestyle events. Regarded as a “rendezvous” between international interior designers and decoration editors, the event invites everyone eager to know the latest and best designs, to a festive environment through the streets of Paris and onto the most stylish and innovative showrooms. Paris Déco Off allows individuals to discover the world’s most outstanding fabric collections, home accessories and furniture designs. Built-in 1896 as the home of Napoleon Bonaparte’s grandnephew – Shangri-La Hotel, Paris is situated in the 16th arrondissement of Paris. The hotel features breathtaking views of the Eiffel Tower. Surrounded by a garden, the 101 rooms and suites offer guests the chance to enjoy an exclusive home. This top restaurant continues to write its history by remaining true to its time. The hotel called on the talents of Philippe Starck for his spaces impregnated with surrealism, and to Alain Ducasse whose cuisine already infused the soul of the establishment. Alain Ducasse tells a personal and radical story, continuing the work he began twenty-five years ago. He represents the naturalness cuisine, inspired by the fish-vegetables-cereals trilogy, with the help of his chef of Romain Meder. Healthier and more natural, more respectful of the Planet, it delivers a free and nearly instinctive interpretation of Haute Cuisine, revealing the produces’ original flavour, from the noble to the humble, all exceptional. This gallery which opened in 1999 in the 13th arrondissement in Paris, in the special contemporary art area called “Louise Weiss”, focuses on producing new pieces in collaboration with the world’s most relevant contemporary designers. In 2008 Galerie Kreo relocated to the heart of Saint-Germain Des Prés, and in 2009, parallel to its role in a contemporary production, increased it’s dealing with vintage lighting and furniture. Maria Wettergren was born in Lemvig, Denmark. While subsequently preparing a Master degree, Maria Wettergren lived in Paris where she worked simultaneously for several art galleries such as Flux by Cyril Putman, while he was representing Fabrice Hyber and Huang Yong Ping at the Venice Biennale (1997 – 1999). In 2002, she decided to interrupt her studies to become the director of the Parisian branch of the Dansk Moebelkunst Gallery. She ran DMK until 2010 when she decided to open a gallery specialized in contemporary Scandinavian art design. Founded by Béatrice Saint-Laurent, Galerie BSL commissions produces and exhibits refined and innovative works that challenge the established borders of art and design. One-offs or in very limited edition, these functional sculptures channel an experience, arouse one’s sensibility and speak to the heart as much as to the intellect.